Are you looking for a new watch that looks a bit different from what most people wear? This is the one you have wanted and now you can get it for less the 5 dollars (including shipping). This digital watch is shaped differently almost like a spaceship and it has a great tech watch face to make it all stand out a bit more. 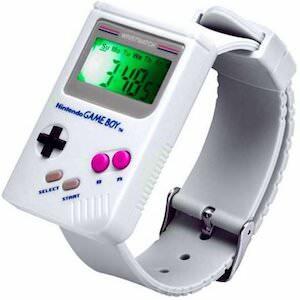 A watch like this is ideal for tech geeks like me. If you are like me then you should check it out. Come see this Digital Tech Watch. If you like robots then there is no reason why you should get a boring USB flash drive. This little robot clock is also a USB flash drive. The robot has a little loop above it’s head to attach it to a bag, keychain or necklace and on it’s belly the robot has a little clock surrounded by rhinestones. And when you push the slider on the back down there will be a USB plug showing up from behind his feet. The flash drive is 8GB and USB 2.0. 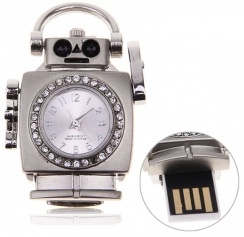 So extend your robot collection with this Robot Clock And Flash Drive. Us geeks want special tech looking stuff and that is where this watch fits right in. 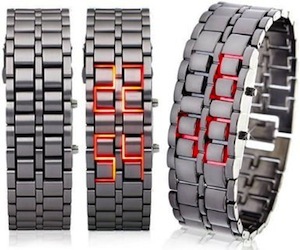 This Iron Samurai LED watch looks just like a metal bracelet but build in to the bracelet is the watch. You can see the time show in the band by LED lights. Not only does this watch look amazingly high tech it is also dirty cheap so that means that we geeks can change things up as it doesn’t break the bank. Come have a look at all the details of this Iron Samurai LED Watch. Watches are so boring but now you can get a fun watch. This watch does not have normal watch face with arms that move around to tell time. No this watch tells time binary by making LED’s come on to tell you hours and minutes. Not only will this watch tell you time it also will make you look awesome and geeky at the same time. 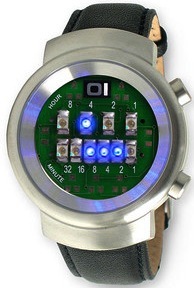 Come check out this special LED Binary Watch. Phone became smaller and thinner for a while but now they seem to get bigger again with the newest Androids phones having huge screens. But if you want small then maybe you should have a look at this mobile phone that is build in to a watch. It has room for one sim card and a memory card and charges through the USB port on the side of the watch. 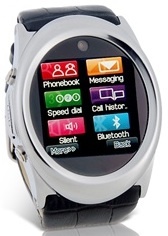 This touch screen watch phone has all the options of a normal phone like bluetooth, camera, phonebook and so on. And it of course supports the commonly used GSM bands 850/900/1800/1900. So what more can you wish for? If you want small don’t wait just come and check out this GSM Watch Mobile Phone. If you want a robot that can do things then this one could be yours. 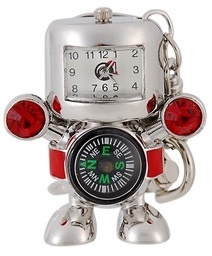 This little robot is a keychain so you can carry it with you everywhere and besides being a nice cute keychain it is also a clock and a compass and even has a build in flash drive. So now you know where to go and what time you need to be there and have your important files to. This little robot is not only really useful it also looks fun with big shoes and red rhinestones as hands this is almost a piece of jewelry. The USB flash drive slides out of the robots head on top and that of course makes the robot smart with all that memory in it’s head. You just have to see this robot and all it’s features up close so don’t wait come check out this Robot Compass, Clock, USB Flash Drive, Keychain. When time is important and when you time travel then you know it is, a good watch will help you out. 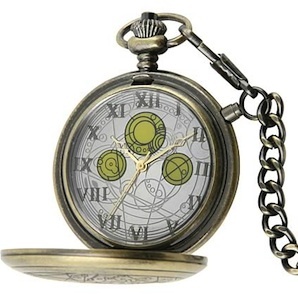 This is the fob watch that Doctor Who uses and now it can be yours. With this specially engraved watch you will show the world what time it is. A fob watch is not only super cool and old fashion at the same time but it is a great way of wearing a watch without having to have it around your wrist. With this special Doctor Who item you will show the world who the real Doctor Who fan is so wait not to long because time is moving on, just order your own Doctor Who Fob Watch. Now you can have the coolest watch and see video on it and listen to music or even rectord notes to your self. Just get movies on there so that you can watch your favorite movie on the go. The build in 8GB storage offers you the option to carry the movie you want to take where ever you want to watch it. And the battery is charged through you USB port and guess what you can see time on this watch to. If you have really important data you can’t live without and you want to keep it save and close to you then maybe this Watch will help you out. The Watch has a build in 4GB flash drive that you can remove from the watch to put in your computer. The Flash drive fits so well in the watch that you completely forget about it till you need it again. Now you can carry around your secret data on your secret missions. 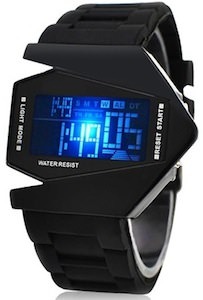 Check out this watch at our friends at ThinkGeek!